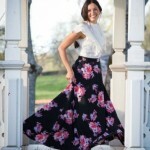 The skirt is a feminine and attractive and in general, we tend to use it in summer or spring. However, also you can do it in winter accompanying them of winter socks, thick coats or jackets. If you want to wear a skirt with style in winter don’t miss these tips! To wear a skirt in winter, the best is a thick skirt so it will be comfortable and warm. You can opt for trendy textures like suede or leather and also you can cheer up to the wool. Simply combine it taking into account the occasion and will be fabulous. In winter, long skirts are a great choice. Choose a pleated skirt with a dark color and combined with a colored belt. 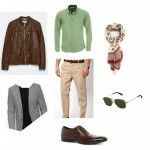 Accompanied with a trench coat and have a great look. Navy blue, dark green or burgundy colors are attractive to spice up your winter outfits. If you want to wear a patterned skirt for the office combine it with stockings, a white shirt and a thick color jacket. Thus you will achieve a look that is elegant, comfortable and without getting cold look. Stockings or leggings are the perfect complement to wear a short skirt in winter. You can combine it with different blouses, with a fringed suede jacket or faux fur vest to give glamour to your look. It is best to opt for classic colors like black or gray, but if you want to give life to a simple look you can choose embroidered stockings. The cardigan is another great addition to a look with winter skirt. Choose a patterned skirt, and combined with a smooth color sweater. Add a brown belt and boots of the same color. Finish the look with a chunky cardigan and you have an amazing look. Another great option to wear skirt in winter with a leather jacket. Choose a color skirt, combined with a white blouse, adds approximately equal color boots, a jacket and a bag. You will have a comfortable, relaxed and inviting look. How to dress for a wedding? Copyright © 2019 Fashion Spreads. All rights reserved.